Can Angry Attention Make Kids Worse? All children need attention, and for various reasons, some children need a lot of attention. Any attention tends to increase the behavior that it follows, especially focused attention, and nothing is more focused than intense anger. So if you have a child who needs lots of attention, and you give that child a lot of powerful, intense, angry attention, he is very likely to repeat the behavior that sparked your anger in order to get even more of that juicy attention. Also, children tend to mimic the behavior of their parents, so if you are aggressive with them, they are more likely to be aggressive toward you and others. Children don't anger parents deliberately. I'm not saying that the average attention-seeking child consciously enjoys angry attention. To the contrary, most children find it very uncomfortable and distressing and would much rather have gentle, positive attention. However, it is their unconscious minds are in control, craving the intense angry attention. It's not just aggressive forms of attention, such as shouting or smacking, that can create a problem. 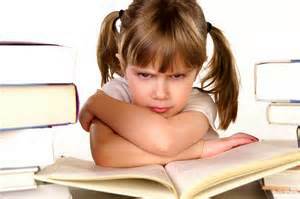 Nagging, lecturing and fussing are also very satisfying forms of attention for an attention-hungry child. Parents can get addicted too. The other important part of the equation is that parents can get in the habit of giving negative attention to their children for unwanted behavior. When a parent is repeatedly frustrated by a child, it is easy to get in the habit of continually criticizing her, not trusting her, and finding many things she does to be annoying. This habit can develop in any close relationship, be it with a spouse, sibling or parent, but in the parent-child relationship the effect can be most destructive. Children tend to internalize the messages and labels their parents give them. So if they are frequently being criticized by their parents, they will believe that they are the naughty, difficult people they are told they are. •	Try to minimize the attention you give to him for the unwanted behavior. •	Put into place a simple, clear strategy, such as counting followed by time out, to deal with the behavior, and use this consistently and persistently. •	Avoid discussion or too much eye contact. •	Stay relaxed and calm, but assertive. •	Keep mindful that your child is not consciously trying to provoke you; she is just reacting to the situation and her emotions in a way that she has learned. •	Try to ignore the small stuff. Only use the discipline strategy with the worst behaviors. You can work on any other annoying behaviors separately. •	And most importantly, give him plenty of positive attention for the opposite, desirable behaviors. For instance, give him plenty of praise when he obeys a command, plays nicely with a sibling, gets ready for school on time, picks up his clothes, or has a calm day without a tantrum. This step is crucial, especially while you are weaning him off his addiction to negative attention. •	You can also introduce an age appropriate reward system to encourage your children, such as reward charts or tokens, that can be spent on fun activities with you, like throwing a ball, or playing a board game. Giving your children an abundance of positive attention for desirable behavior and minimizing the negative attention you give them for undesirable behavior should improve your their behavior and self-esteem, as well as positively affect your relationship with them, especially if you throw some family fun into the mix. And as your child's self esteem grows and your relationship with her improves, you might find that her general need for attention diminishes, leaving you with a happy, well-adjusted, easy-to-manage child. Lorri Craig is an Australian Psychologist with a private practice in Brighton in the UK. She has 30 years experience working therapeutically with adults and children. Lorri runs online training programs for parents and has created a series of quality, affordable parent training videos.